According to the Wisconsin Fall Color Report (click here to check it out), Mineral Point is currently at twenty-five percent color and is scheduled to peak mid-October. If you have any photos of the fall colors in Mineral Point that you’re willing to share, please send them to highstreetbeat987@gmail.com. Photo credit will be given if requested. Thank you to our first willing participant, Dr. Sarah Fox, who snapped the photo below. 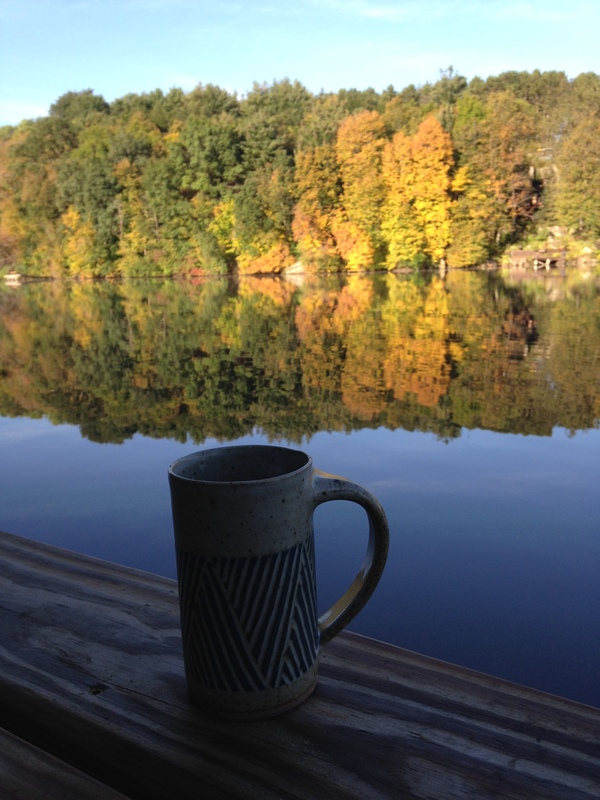 The mug shown in the photo was made in Mineral Point by Diana Johnston. This entry was posted in Outdoors and tagged Diana Johnston, Dr. Sarah Fox, Fall Colors. Bookmark the permalink.